It is easy to see billboards on a drive to work or road trip. Billboards reach out to consumers within the immediate area and capture their attention. Designed for local businesses and consumers, this marketing option can be an effective way to notify consumers about a new business, product or service. Like most aspects of the business world, companies should do their research and visit the location before they commit to billboard advertising. Long ago, the billboard industry began as a part of the pop art movement. Artists at the time were hired to paint billboards in a way that was impossible to mass-produce. In particular, Andy Warhol became famous for creating advertisements for Campbell’s Soup. Each artist signed their name to the billboard once it was created. Before long, billboards became increasingly commercialized. Companies began to figure out that they could glue large prints to a billboard or transform the billboard into an electric sign. Today, there are giant billboards that flip from one advertisement to another. These billboards are designed to be so large that they are impossible for a driver to miss. Billboards were not always the common, familiar sight that they are today. Former First Lady Lady Bird Johnson once started an anti-billboard campaign to make roadways more beautiful. She wanted to add park benches, take away billboards and plant flowers along the highways in the United States. Johnson started her dream by cleaning up Washington D.C. and fixing the dilapidated parts of the city. Due to her efforts, a law called the Highway Beautification Act was eventually passed. As a part of a compromise with the Outdoor Advertising Association of America, billboards were still allowed in areas intended for commercial and industrial use. Despite Johnson’s goal of removing billboards, this industry is still alive and strong today. Billboards can be seen at venues like Disney World and along major highways. Today, investing in billboard advertising allows modern businesses to reach out to potential consumers and garner new revenue sources. When it comes to advertising, billboards are one of the simplest options available. Once they are set up, they require minimal management and upkeep. A television commercial can take weeks or months to plan out, but a billboard can be created in just a few hours or days. For the best results, the billboard must be large, colorful and simple to read. Drivers may speed by the billboard at 70 miles per hour, so the words and pictures must be big enough to notice. Where Can Someone Rent or Buy a Billboard? Once the decision is made to rent a billboard, the problem is buying one. In general, billboards rent for four to six week increments. Depending on the location, the billboard could be purchased for $650 to $2.4 million. Billboards can be found for sale on websites like billboardsforsale.org. At the website for National Outdoor Media or Blue Line Media, billboards can be rented for short-term or long-term time frames. After renting a billboard initially, it is fairly easy to find new advertising sources. Once the billboard is up, marketing companies know that the business on the billboard is spending money on advertising. From that moment on, advertisers pop up out of the woodwork. Renting a billboard is not enough. If the location is on a backcountry road in the middle of nowhere, it will not be an effective use of advertising funds. To make sure that the billboard is effective, business owners should visit the area where the billboard will be placed. They should consider the number of people that will drive by each day, and the ability of the drivers to actually see the billboard. Beyond making sure that the location is easy to see for drivers, companies should make sure that the billboard is placed in the right target area. A company that operates out of Maine will not find the customers that they need if they place a billboard in Massachusetts. Businesses need to find billboards for rent in their target area to ensure that they maximize each dollar spent on advertising. What Types of Benefits Benefit From Billboard Rentals? Local businesses are best suited for billboards. Billboards are only seen by drivers who regularly pass by the sign, so the advertisements must be designed for a local business. Renting a billboard is effective for companies that sell high-ticket items or products that everyone needs. The billboard will reach out to any driver, so advertising a telescope is not particularly effective. Niche items like telescopes or bird watching binoculars do not do as well on billboards because only a tiny fraction of the people who drive by will be interested. Instead of advertising items with a limited customer base, businesses should focus on products that reach out to every consumer. Everyone needs to drive and may need help with a mortgage some day, so car advertisements, mortgage options and insurance advertisements work well on billboards. Using a billboard for advertising can be lucrative for the business. A billboard offers exceptional visibility, affordability, coverage and simplicity. It also provides the advantage of reaching out directly to local consumers. The simplicity of a billboard is one of the main reasons that companies love to use them. It only takes a few hours to create a design for the billboard. Once the design has been placed on the sign, the business just has to relax and wait for the billboard to be seen. Unlike television advertisements and radio spots, billboards require very little upkeep or continued planning. The affordability and location options provided by billboards are the main reason that billboards have remained a popular choice for businesses. Renting a billboard can be extremely inexpensive, and there are locations available everywhere. Companies can target the best locations in their home city. Billboards also allow businesses to grow into new geographic regions by gradually sending out new billboards to areas that the business is about to break into. Other than affordability and location, billboards are extremely visible to drivers in the area. With the advent of television recording devices, any television viewer can skip the advertisements that normally appear with a television show. In comparison, billboards are notoriously difficult to avoid. Even if the driver is trying to consciously ignore the advertisements, they will still see the billboard in their peripheral vision as they drive by. While billboards are an exceptionally easy way to advertise, there are some negatives attached to this technique. Billboards do not move, so businesses have to choose the right spot immediately. Often, the best locations are rented out for months in advance. This can make it difficult for companies to find the location that they want immediately. When used incorrectly, billboards can seem trite or overly complex. Drivers speed by these billboards quickly, so the images must be simple enough for someone to easily understand. Likewise, the billboard will be a first step in creating a company brand. If the billboard has cheesy slogans, it may hurt the brand more than it helps it. When used properly, billboards can be a vital marketing technique. Businesses must learn which techniques work best for their company and how to achieve their marketing goals. Guide to Renting a Billboard: How Much Does It Cost? Is a Digital Billboard Cheaper or More Expensive? A digital billboard can be an eye-catching way to reach out to potential consumers. Unlike traditional billboards, digital billboards can normally be purchased at just one location. Meanwhile, traditional billboards normally require companies to lease multiple units. A digital billboard is basically a shared space where advertisements rotate between multiple advertisements. In areas like New York City where a print billboard can cost up to $200,000 for four weeks, a digital billboard can be a cheaper option. Meanwhile, areas like Atlanta that have cheaper print billboards normally have more expensive digital billboards. While digital billboards cost more outside of major cities, there are some benefits to using them. Advertisements tend to be more dynamic because the images can move, change and include more information. To be cost effective, billboard owners typically place digital billboards in high traffic areas. Even if the company’s advertisement only appears a quarter of the time, the advertisements will still reach more consumers. Since the advertisements can change at any moment, businesses can also select specific times of the day for the advertisement to appear. 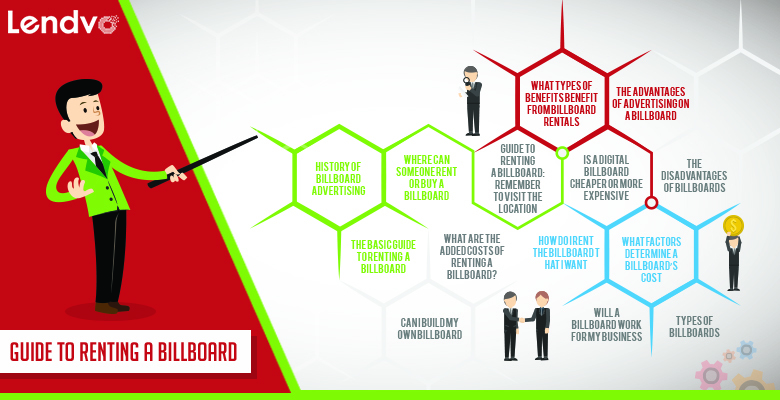 What Factors Determine a Billboard’s Cost? The main determinants of a billboard’s cost are demographics and impressions. Areas with high income levels typically charge more for a billboard than an area with a low income. Likewise, the expected number of impressions impacts how much a billboard rental costs. If the road is extremely busy, there will be more impressions and a higher rental cost. When it comes to billboards, demographics matter. A company that wants to reach out to high-income hikers will want a roadway near a high-income area or near popular hiking destinations. Meanwhile, a business that wants to reach out to shoppers will want to advertise on roadways that have their target consumer base. By selecting areas with the right demographics, businesses can maximize their advertising budget. As businesses select their billboard location, they should keep in mind that circulation and impressions are not the same thing. The circulation rate includes the total number of people who pass by the advertisement. Meanwhile, the number of impressions includes only the people who actually see the advertisement. While a slow highway and a fast interstate could have the same number of drivers, the slow highway will actually have more impressions. People who are driving or moving too fast will not have a chance to view the advertisement. Due to this, slower roads or regions with significant traffic congestion are actually excellent locations for billboards. What Are the Added Costs of Renting a Billboard? Other than renting a billboard, there are other costs that must be accounted for. On average, companies will spend $500 to $1,000 to pay someone to design the billboard. Buying the vinyl material for a bulletin billboard will cost about $500 for 700 square feet of vinyl. To lower costs, businesses can always choose to hire a freelancer online to complete the design. How Do I Rent the Billboard That I Want? If the business has already found the right spot for their advertisement, the next step is actually renting the billboard. Normally, the advertiser’s name will be listed below or next to the billboard image. Once this name is found, businesses can look up the advertising company online and contact them. For other options, businesses can check out major billboard companies like CBS Outdoor, Lamar and Clear Channel. A list of providers in each state is also available at OutdoorBillboard.com. Can I Build My Own Billboard? The short answer to this question is yes. It is entirely possible to build a billboard on a property near a busy area or roadway. Thanks to politicians like Lady Bird Johnson, there are multiple regulations in place about who can build a billboard in different locations. To make sure that it is legal to build on a specific site, companies should look up the way that their property is zoned. A county government official can also help to determine whether it is legal to build the billboard or not. If it is legal to build on the site, the business owner can install a billboard on their own. They can also lease part of the property to an advertising company and garner revenue from the billboard. On average, advertising companies will pay out 15 to 20 percent of the net revenue from the billboard. While this means lower revenue, it saves the business from paying for the installation. It typically costs $15,000 to $20,000 to build a wooden structure or a billboard. A steel structure will cost $40,000 to $100,000. Will a Billboard Work for My Business? Billboards are typically set up for brand awareness and advertising specific locations. If a business wants a billboard to meet one of these two goals, then a billboard may be the right choice for them. Otherwise, the company may want to reconsider using a billboard. The best products for billboards are products that can easily be covered in an elevator pitch. If the product cannot be pitched in eight seconds, it is probably not the best choice for a billboard. Likewise, products that can be marketed to a broad audience are the best choice for billboards. While the demographics can be narrowed down to regional audiences and specific subsets of the population, billboards are still seen by a much broader audience than other advertising options. Classical Billboard: These billboards are the traditional designs that people think of when they think of a billboard. They are designed to catch the eye of motorists and pedestrians. Additionally, they are offered in a range of styles. Junior poster billboards are typically smaller, and poster billboards are a mid-range size. Meanwhile, bulletin billboards are the largest size available. Three-Dimensional Billboards: These billboards are designed by artists to look three-dimensional and catch the viewer’s attention. Digital Billboards: Digital billboards are the latest innovation in the industry. They allow running text and easy changes between different advertisements. Often, companies can rent them for a portion of the time each day or during specific time periods like rush hour. Painted Billboards: While these were once the most popular option, painted billboards have been increasingly replaced by graphically produced designs. Scented Billboard: Believe it or not, companies like Bloom have used scented billboards so that people smell scents like charcoal when they pass by the billboard. Mobile Billboards: A mobile billboard is often placed on a car or temporarily added to large events. While they are less common, mobile billboards are often more memorable for consumers. No matter what a business is looking for, there are many different types of billboards and price ranges that are available. From national chains to local advertisers, businesses can find the exact advertising products that they need. Once the business has found the right location, the billboard can help to boost their brand and increase the buzz surrounding the business.